Has your air conditioner reached its end of life? Is the heat of the summer making your home uncomfortable? Speak to Affordable Heat & Air’s leading Tewksbury MA HVAC repair and installation experts to learn many affordable ways to keep your home comfortable. 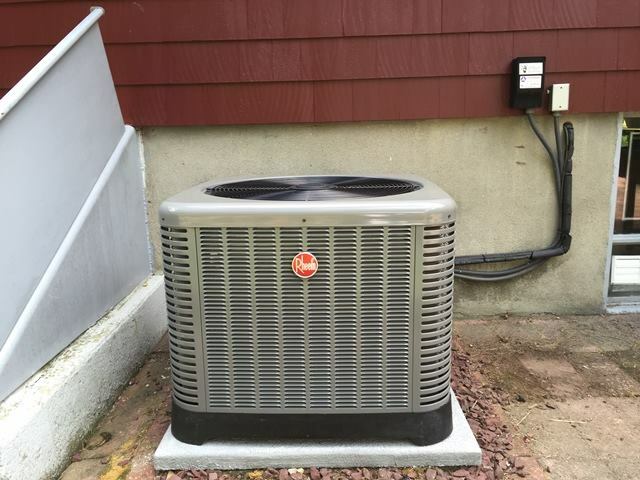 As one of the most respected heating and air conditioning companies in the Northeast, Affordable Heat & Air proudly serves Tewksbury, MA with a comprehensive line of high-quality advanced products. We provide you only with the names that you know and trust, along with warranties that you can rely on. For over fourteen years, Affordable Heat & Air has provided customers with long-lasting satisfaction and high quality experiences through the HVAC services that we offer. We are fully committed to customer satisfaction and attentive work ethic. In Tewksbury, MA people rely on air conditioning whether they are managing a business or are at home. Being too hot – or too cold – can negatively impact everything from your productivity to your mood. Existing problems such as asthma can be a big problem in the Tewksbury’s climate and can affect your health drastically. A safely controlled and comfortable indoor temperature allows you to feel your very best, and we can help you achieve this at a really affordable price. Affordable Heat & Air offers only the best air conditioning equipment, brands that will cool your house as well as reduce your monthly electricity bills and maintain the air purity. We have numerous units that have various SEER ratings that can significantly reduce your electric bill, and along with HEPA filtration, help to keep the air in your house 99.7% clean. We offer extended warranties to our customers, special financing, with affordable services and convenient monthly payments. For those who need a maintenance program, we offer those as well. It can be tricky sometimes to choose the right air conditioning unit. However, it is essential to install a system that you can rely on for many years. It can have a lot more to do with your property’s layout and the age of the construction. Throughout your home, there are numerous factors that may impact airflow. When looking for a replacement, make sure you to talk with one of our professional technicians to find the best unit for your building or home. You also want to compare your current heating and air solutions in Tewksbury, MA versus the recent models in the marketplace. Just the efficiency savings in a majority of cases will pay for your upgrade very quickly. Are you having difficulties attempting to figure out whether or not it is time to replace your air conditioner? The EPA reports that a home AC system only lasts for around 10 to 15 years.